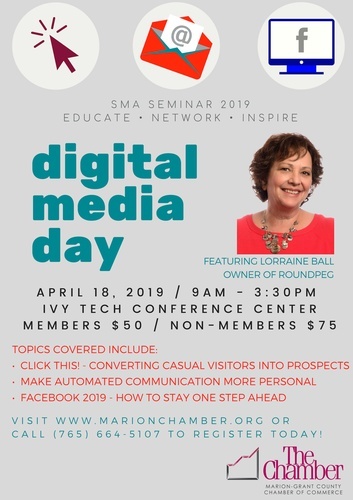 2019 Sales & Marketing Association Digital Media Day Featuring Lorraine Ball, Owner of Roundpeg. $50 for Chamber Member and $75 for non-members. Fee includes breakfast, lunch, and training materials.